More Filipino joy in Chinatown with El Pinoy Grill in Paddy's Market. El Pinoy takes over the spot of the much underrated and sadly missed Jenny's Food Van in Chinatown's Paddy's Market. 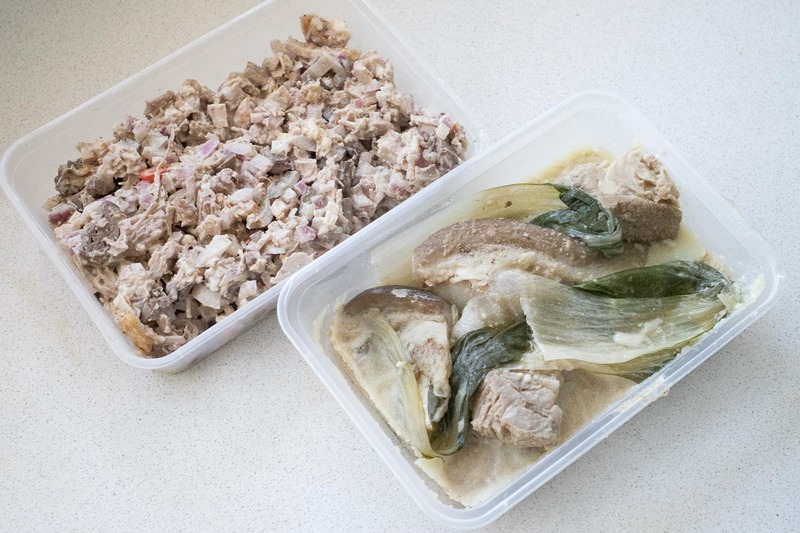 El Pinoy has an impressive range of ready-to-go dishes. 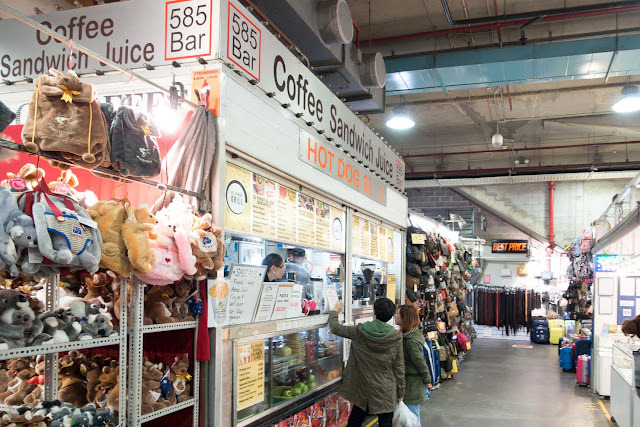 There's a mix of dishes both made on the spot and also some dishes from a commercial kitchen somewhere we can't remember in the western suburbs. The super friendly owners tell us the there's even more dishes available on the weekends which is when most Filipino folks visit. From the pick n mix choices, chicken wingettes in adobo sauce, baked until sticky and just a little vinegar tangy and bopis, an alternative to sisig made from all the other extra bits of the pig (heart, lungs, stomach). This was served on a heaping mound of rice for $8. Desserts are stacked in the front in tempting takeaway boxes, these looked like Pinoy lamingtons and tasted like sweet syrup soaked cakes. We bought sisig and kare kare for din dins, and made a veggie stir and plain rice to go with it. Feast! Takeaway dishes are a screaming bargain at eight dollars each, without rice. You can try a whole range of Filipino classics for little money, such dishes can be around the twenty dollar mark in a Filipino restaurant, if you can find one. We've come to like grabbing a dish or two to take home, cooking up some streamed rice and a big veggie stiry fry to go with it. It turns a humble veggie stir fry into a feast.